I Get It! 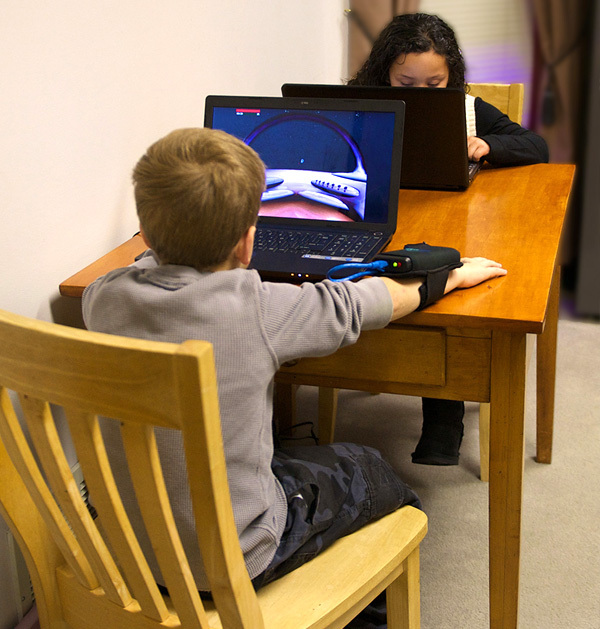 is a tutoring service that utilizes our unique sensory room to reduce the anxiety that a child may have about their social and academic performance. Our sessions teach your child stress-reducing and calming sensory techniques. The brain is better able to process new information when anxiety and stress are reduced. By using a variety of teaching methods, we approach learning in ways that fits the learning style of your child. Learning is more than just getting the right answer. We encourage a true understanding of the material, improved academic skills, better self-confidence, and resiliency in your child. TRC Tutor is a therapeutic tutoring service combining Therapeutic Recreation and Academic Tutoring. Our TRC Tutor team offers a specialized sensory room along with unique teaching techniques which helps your child reduce anxiety and learn! As your child becomes more successful, self-confidence grows and stress levels decline. You will see a new ability to tackle harder problems and learn new concepts. When the brain is stressed and the child is experiencing anxiety, the brain prioritizes the emotional feeling of anxiety and becomes less able to process academic tasks. The desired result of successful learning is in effect “shorted out” which then creates even more anxiety and poorer performance. Learning is a complex process. The brain works in many ways to absorb, process, and retain information. Not all brains work in the same ways or at the same speed. Sometimes, this poses challenges and creates anxiety in a child who may feel that he or she is not able to learn as well as his or her classmates. Often negative behaviors start to appear when anxiety increases and the student experiences failure. Before you and your child reach despair and complete failure, consider the I Get It! approach to tutoring. It is so much more than just a small version of the classroom. We use our therapeutic recreation components to help reduce anxiety and stress so your child can optimize learning potential. Our TRC Tutor team offers a specialized sensory room along with unique teaching techniques which helps your child reduce anxiety and learn! As your child becomes more successful, self-confidence grows and stress levels decline. You will see a new ability to tackle harder problems and learn new concepts. Our teachers are licensed or retired North Carolina teachers who have had experience teaching children with a wide range of abilities and disabilities; from children who have mental health needs or developmental delays (including those with dual diagnoses) to children in advanced placement settings. Our recreational therapists and recreational therapy aids are licensed by the North Carolina Board of Recreational Therapy Licensure. Sessions are available by appointment Monday through Friday from 10 a.m. to 7 p.m. and on Saturday from 10 a.m. to 12 noon in order to accommodate children who are in public or home schools. We offer individual or small group sessions. We can provide an informal assessment or more comprehensive standardized educational testing for an additional fee that will vary by the testing areas covered and the child’s needs. There are no contracts or long-term commitments. Use as many sessions as your child needs until their performance gets back to par.